Next on my list is buying the right type of RV to suit your needs. There are many types of RVs to choose from and you need to make sure you purchase the type best suited for you and your needs. It’s important you consider how you plan to use the RV. If you like to explore the back roads or camp in state parks a 40-foot motorhome is a bad choice. In this situation a pop-up or truck camper makes more sense. 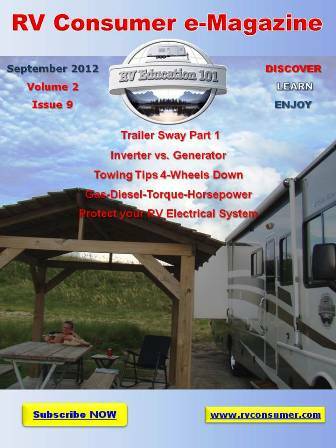 On the other hand if you plan to travel cross-country in the RV a 5th wheel trailer or motorhome would work great. 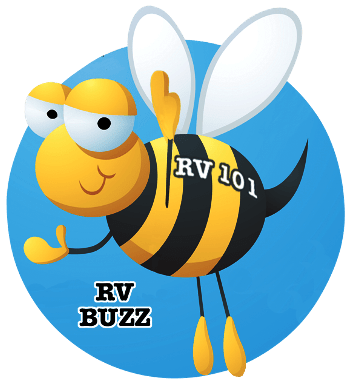 Think about how you plan to use the RV, how many people will be staying in it, and what your budget is prior to selecting the type of RV best suited for your needs. Next on my list is your budget. You want enough money left over each month to use and enjoy the RV. Before you purchase your RV factor in the monthly payment, RV insurance and upkeep and then determine how much you can afford to pay without getting in a bind. If you purchase a travel trailer or 5th wheel trailer it’s extremely important the tow vehicle can safely handle the weight of the trailer. I always tell folks to find the trailer you want then get a tow vehicle capable of handling the weight. If you already own the vehicle you plan to tow with you need to base the size and weight of the trailer on that vehicle. A quick and easy method I suggest for matching a tow vehicle and trailer is to find a trailer with a Gross Vehicle Weight Rating (GVWR) less than or equal to the vehicle’s tow capacity. In this case, even if the trailer is fully loaded to the GVWR the tow vehicle is still rated to handle the weight.